This is a respected and trusted instant-play online casino, sportsbook and poker room established back in December 2011. Gambling communities all over the world give high estimates to timely payouts and skilled support at Bovada, which means Australian gamblers would have a hassle-free experience and face no problems when requesting a withdrawal. Gaming for fun and real-money betting are available for all games including progressive pokies. The casino uses Rival and Betsoft platforms that belong to the best software providers in the industry. The games published on the casino site are split into five categories: Blackjack Games, Table Games, Slots, Video Poker and Specialty Games. Clicking whichever category would display the entire assortment of related games on a single page. Every game on the list has an Info button that shows detailed description for that game. 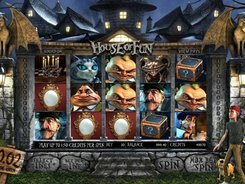 Rival produces all types of pokies so that every gambler can find his favorite: classic pokies, five-reel pokies, branded iSlots and progressive pokies (over 120 pokies of all kinds and forms). 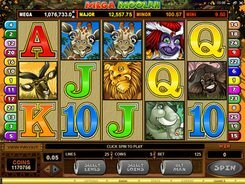 Progressive pokies are worth a special mention as there are lots of them at the reviewed casino, most of them featuring a local progressive jackpot (e.g., DJ Moo Cow, Major Moolah, Cash Money Mermaids). About 20 pokies have a local jackpot that gets bigger every time Bovada gamblers make real-cash bets on these pokies. Most local progressives are awarded randomly without having to complete a certain combination or win a bonus round, and an average win is about $2000–$3000. The games of this type are very popular with Australian gamblers since they have a high built-in RTP (95% and greater) while giving the chance to win a moderate-sized progressive jackpot. At the same time, some pokies (Shopping Spree, Super Diamond Mine) feature networked progressive jackpots with much bigger jackpot amounts that sometimes reach into millions of dollars. Furthermore, the gambler is allowed to play progressives in a practice mode without losing a cent. Bovada provides a plethora of helpful articles and tutorials that would be interesting for veterans and novices alike. The articles cover a wide range of subjects such as bonus rounds in pokies, betting systems, casino etiquette, strategies in craps, overview of pokie developers, and many others. Besides, Bovada features an intensive FAQ section that provides guidance on many facets of online casino gambling. All deposits are processed via Visa, MasterCard, Visa gift cards and Bitcoin. The casino claims they have no deposit limits but they reserve the right to introduce any at their sole discretion. There are only two withdrawal options: Bitcoin and courier checks. And these options are subject to maximum withdrawal limits. The gamblers are entitled to cash out up to $9500 every 3 days by using Bitcoin, and up to $3000 every week by using courier checks. New members can redeem welcome bonuses on the first three deposits, up to $1000 each. The total bonus amount that the gambler is entitled to claim is $3000, and the rollover for each bonus is x25 (D+B amounts combined). If you transfer Bitcoin funds to your Bovada Account, you are invited to redeem a welcome bonus for this cryptocurrency, which would replace the standard welcome bonus mentioned above. The Bitcoin welcome pack is redeemable three times, and each bonus bears a 150% match, up to $1500. New promotions appear on Bovada site quite often, so gamblers are advised to check back for new bonuses since some of them can be very beneficial. Besides, the casino tends to run limited-time bonuses devoted to holidays (Christmas, All Saints Days, etc. ).